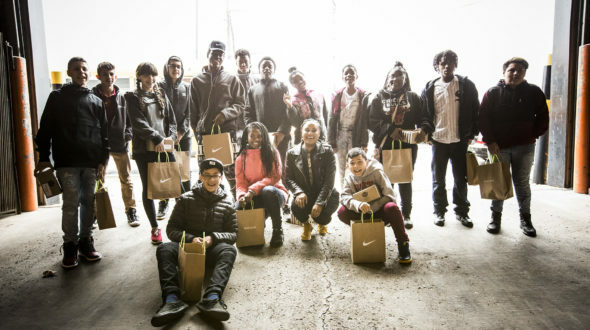 On Saturday March 25th our friends from Nike Chicago invited a group of Urban Initiatives students to an experience not many people get. 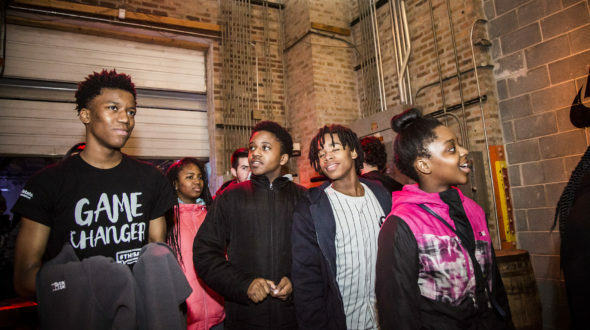 They each got a first-hand look at Nike’s latest innovation, the Nike VaporMax which was introduced at their SNEAKEASY. The secret space told the history of Nike’s storied sneaker franchise, the Air Max. Upon arrival to this hidden location, students were greeted by Nike tour guides who gave everyone a breakdown of the importance on creating this unique space for such an iconic sneaker. “Where are we?” and “This is so cool!” was heard from UI students who couldn’t contain their excitement. 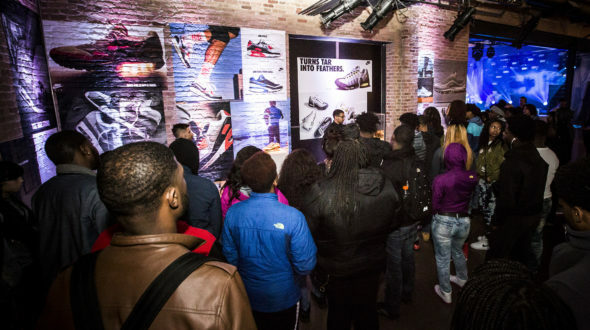 After exploring the space and getting to try on the unreleased VaporMax sneakers, UI students took a seat and listened to several Nike team members describe their journey and what it took get where they are at today. From sharing what University they attended to what sport they played growing up, and in the end how they each are currently at their dream job. There was no shortage of insightful advice shared with UI students. Questions from our student athletes all had a similar theme, everyone wanted to know how they could work for Nike?! Hard work, passion, and commitment were the most important qualities shared, luckily our UI students practice these every day. Urban Initiatives would like to thank Ari and team Nike for giving UI students access to such an amazing opportunity. This experience opened their eyes and gave realistic goals to our students. Thank you!